Working with Universities can be a tremendous opportunity for companies of all sizes. ‘ Do you know of a technology developed at a University that could create a new business opportunity for you or help your improve the competitiveness of your current products? ‘ Do you have an idea needing development or a complex problem that you need expertise solving? ‘ Do you need testing or prototyping done at competitive prices? Jill Murthi MBA, Director of Commercial Ventures and Intellectual Property at UMass Lowell. Jill has expertise in technology licensing and has spent 10+ of her career focused on biotech and life science licensing and intellectual property management. Jill is a patent agent and was formerly at MGH/Partners. Gayathri Srinivasan Ph.D, Licensing Officer, UMass Medical School, Office of Technology Management. Gayathri was a licensing associate at MIT’s licensing office prior to UMass Medical School. Gayathri’s background is in Microbiology. She received her Ph.D. from Ohio State University and pursued her post doctoral work at MIT. M2D2is proud to sponsor the following MVVF event. Read McCarty is a serial entrepreneur having founded, among other companies, Children’s Medical Ventures Inc. and Hawaii Medical – both companies were acquired by publicly traded companies. Read has invented both Class I And Class II medical devices. He recognized opportunity in NICU and newborn nursery market and then developed innovative products, created the manufacturing process and implemented successful marketing strategies. Read will tell his story and the lessons he learned and is still learning at his new venture SunShine Medical. Pleasefollowingthe link below to the MVVF registration page to registerfor this event. MVVF has agreed to extend the MVVF member rate of $25 to M2D2 members. Here is how the discount works: on the registration page click on the MVVF Affiliate button for the discounted admission rate of $25.In the Affiliate boxenter M2D2. After the event a final registration list of all who attended will be forwarded. 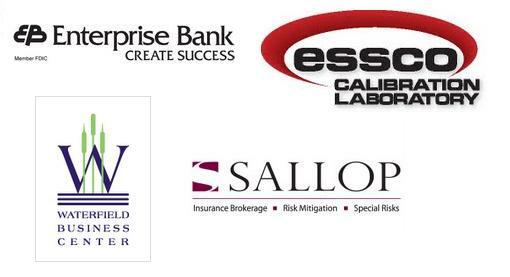 We would like to thank the following M2D2 sponsors for their support!